More options when approving Goals! Manage all your actions in one place! 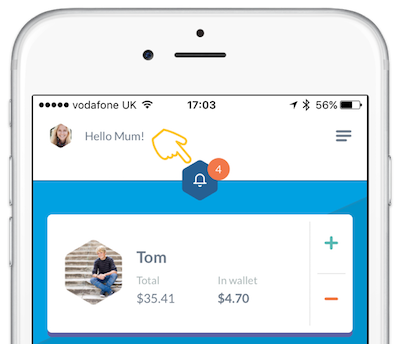 We want to make things easy for parents, and we realised there were one too many clicks to get things done! Whether it’s clicking through children to approve their goals or reviewing a long list of jobs*, time can quickly mount, the more you have to do. 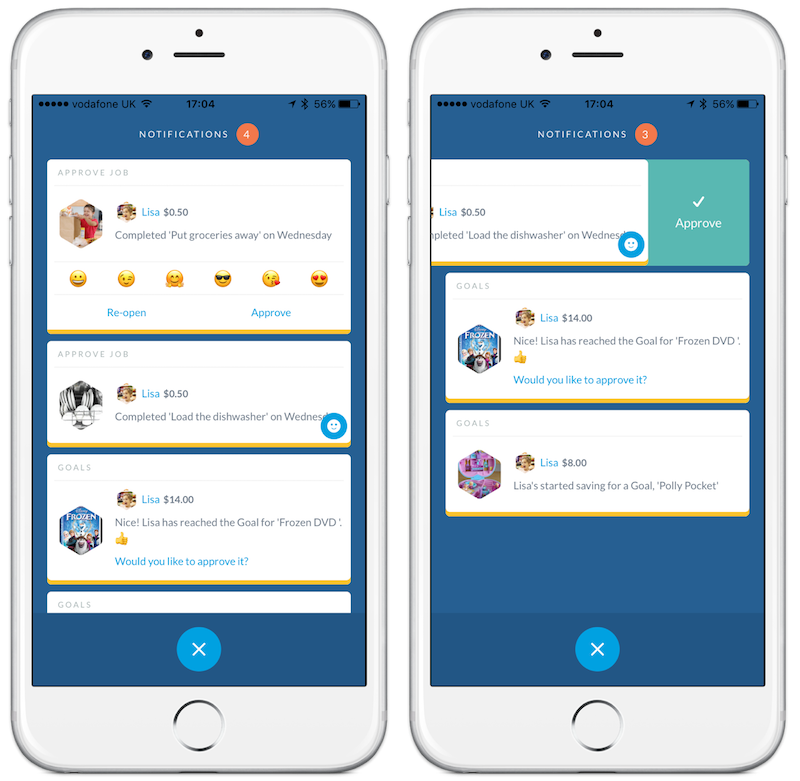 With this new release, we’ve brought all notifications for all your children in one place – our shiny and new Parent Notification Inbox! You can view new notifications by tapping the bell at the top of the screen. A number appears when there is a new notification that requires your attention! You can manage actions directly from your inbox by swiping notifications to reveal quick actions. You can even send an emoticon to your kids when approving their jobs 😘 ! If you don’t want to use quick actions, clicking the notification will take you directly to the activity in the app. Things change! Whether it’s inflation or the Lego set now being on SALE, we wanted to ensure you had the flexibility to make changes when it comes to Goals. Has the cost of the goal gone up or down? You can tap the plus (+) and (-) buttons to edit the goal cost. If it now costs more, you can re-open the goal for your child to continue saving. If you’re feeling generous, you can pay the extra for them. We know it’s unlikely that you’re in a position to fulfil a goal then and there when a child completes their goal. Instead of approving (potentially forgetting about it later) and deducting straight away, you can choose to fulfil and deduct the goal later! 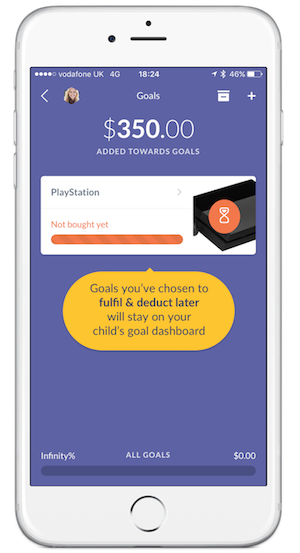 The goal will stay on your child’s dashboard, letting you update it when you eventually get around to fulfilling it. The team at RoosterMoney HQ are hard at work developing more awesome stuff to make the app even better! Follow us on Facebook to stay posted on all things RoosterMoney! *Jobs: you can access jobs, and many more with a RoosterPLUS subscription. 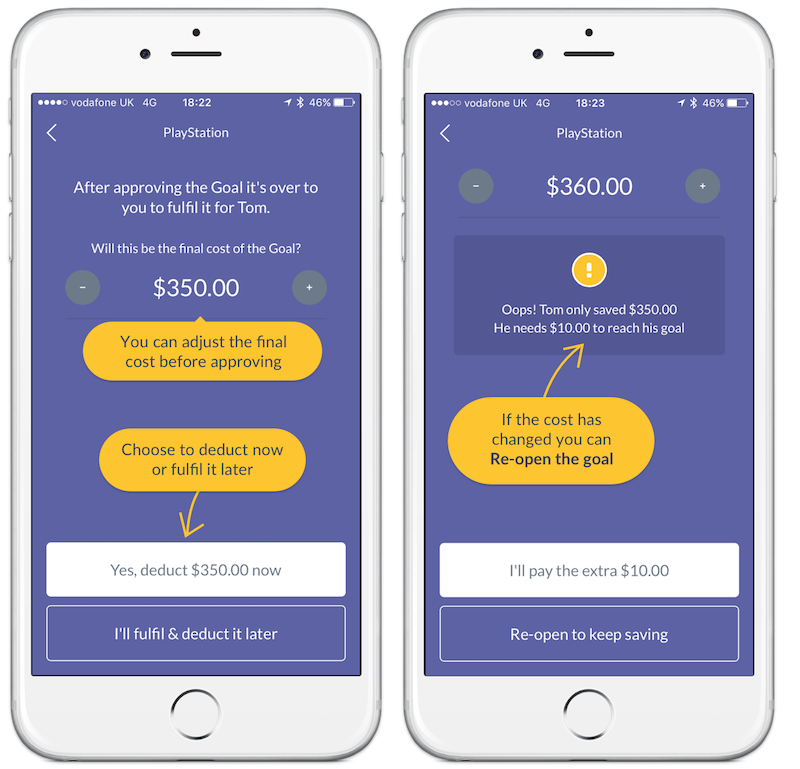 You can find out more about PLUS and all it’s extra features here.